In the lead-up to the newly released Venom, there was much speculation on whether an Eddie Brock movie could succeed without the presence of Spider-Man, and if you’re looking at it from a box office perspective, the answer so far is a pretty decisive yes. Despite the panning it received from critics, Venom is now hot off a hugely successful first few days in cinemas, with the Sony comic book flick beating the October opening weekend record previously held by 2013’s Gravity. 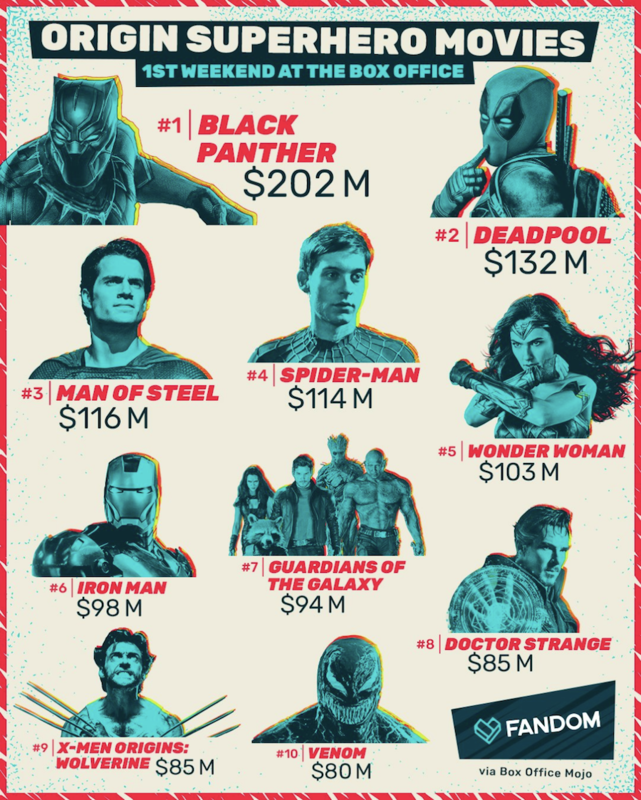 To add a little more perspective to this accomplishment, Venom’s opening weekend ranks as the tenth highest grossing for any superhero origin movie, putting the Tom Hardy-led film ahead of more critically acclaimed works from the MCU like Thor and Captain America: The First Avenger. The fact that this film still ranks lower than X-Men Origins: Wolverine should probably make any comic book movie fan think twice about reading these figures as a sign of Venom’s artistic merits, but it certainly means good news for the team at Sony, who are banking on Eddie’s feature being a franchise starter. At this rate, it’s hard to imagine Venom 2 not getting the go-ahead, with the first movie’s post-credits teaser even setting up the next instalment’s main villain. What’s more, there are clearly a lot of filmgoers who’d be keen to see Hardy reprise his role at least once more. In terms of both box office gross and critical reception, Venom is no Black Panther, but with a respectable CinemaScore of B+, it’s evident that a good proportion of audiences who went to see the symbiote weren’t asking for their money back.